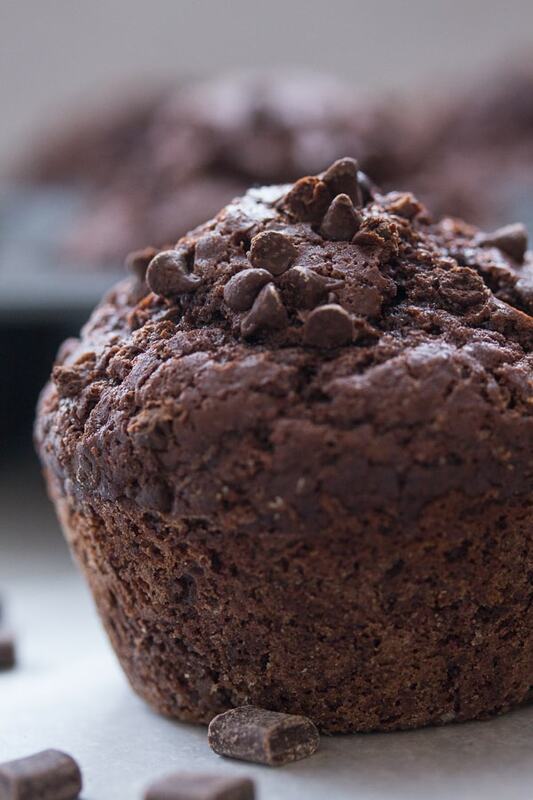 Big Double Chocolate Chip Muffins, a rich decadent full of chips Bakery Style Muffin. The perfect Breakfast, Snack or Dessert Treat. 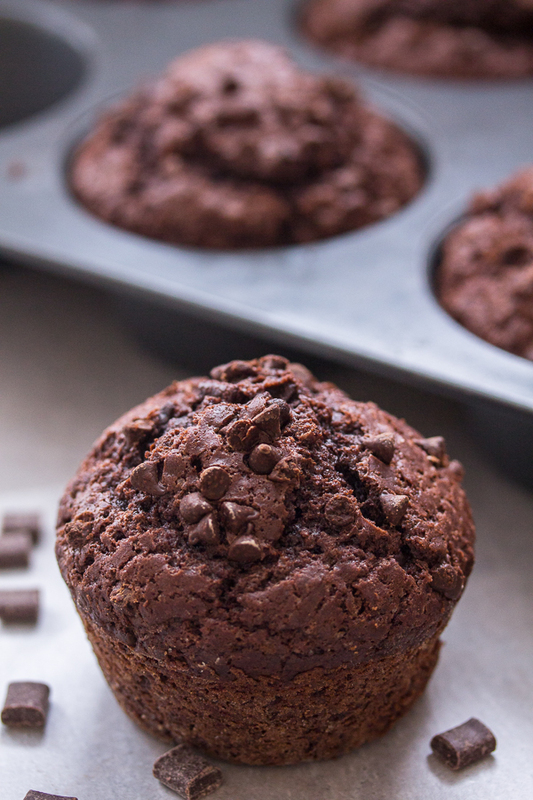 Nothing better than a jumbo Chocolate Chocolate Muffin to get your chocolate fix! Fast and easy and full of chips! I am a big Muffin fan, always have been always will be. So I am telling you these Big Double Chocolate Chip Muffins have to be the Best and I am not kidding the best muffins I have ever made or tasted. I consider Muffins on the same level as Cake Donuts. 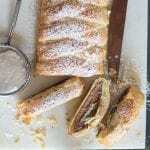 A delicious breakfast treat that also works as a snack or dessert. And they both bake up so quickly. I made 6 large muffins, but 12 medium or even some mini muffins would work also or a few of each. And of course those little ones are just so easy to pop right into your mouth! 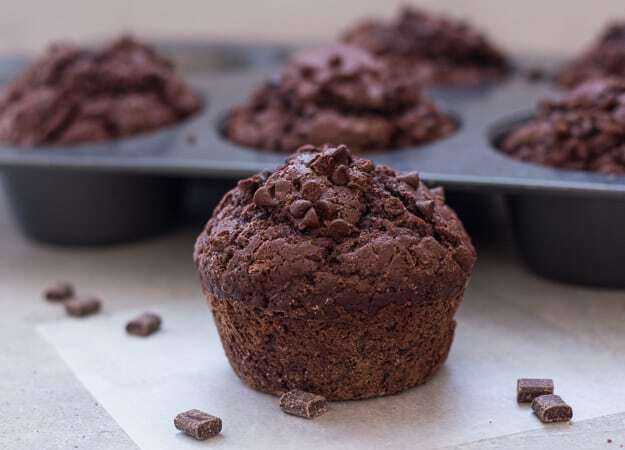 Muffins are just starting to become popular in Italy, but believe me you won’t be able to find Big Double Chocolate Chip Muffins like these ones here or as I might humbly add anywhere else either. I knew there was a good reason for bringing back a large muffin tin from Canada. 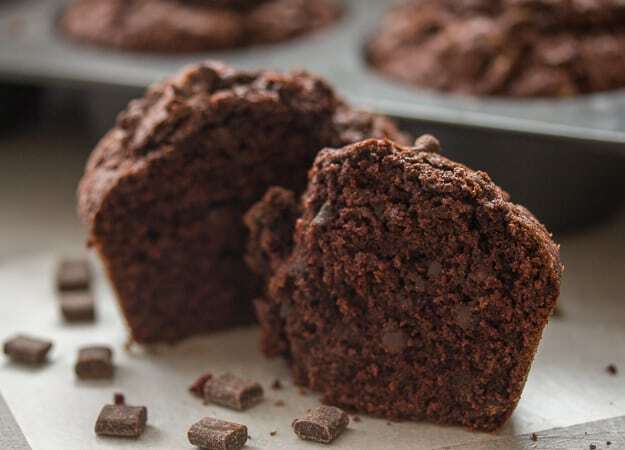 And of course there is also a good reason for Double Chocolate Chip Muffins, it’s almost Easter and at Easter you know you have to eat chocolate, so why not eat it in a muffin? Just remember when you make muffins, do not over stir! 18 turns just about does it. Nothing worse than a tough muffin. 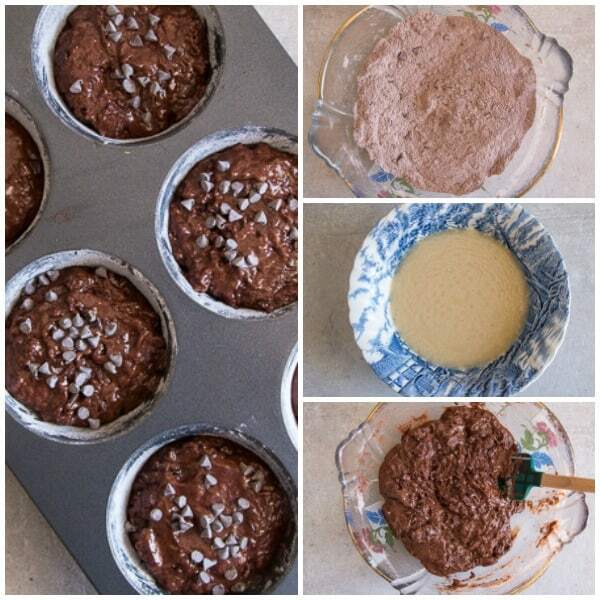 Or you could always make these muffins with any left over Easter chocolate. But does anyone ever have leftover Easter chocolate? Naturally I had to include a little Greek yogurt in the batter, makes it so moist. I also added 3/4 cup mini chocolate chips to the muffin batter. But if you want to really live dangerously why not sprinkle some on top before baking. I did! Nothing beats chocolate in my opinion. Ok maybe Pasta and Pizza come close! Enjoy! 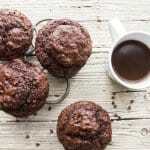 Big Double Chocolate Chip Muffins, moist and easy, a bakery style jumbo muffin recipe, extra chocolatey and so delicious. ** if you don't have greek yogurt substitute with 1/2 buttermilk (make your own - in a half cup measurement add 1/2 tablespoon lemon juice and top up (to remaining half cup) with milk, let sit 15 minutes. Pre-heat oven to 400° (200° celsius), grease and flour a 6 or 12 muffin tin. In a large bowl whisk together flour, sugar, chocolate chips, cocoa powder, baking soda, baking powder and salt until combined. In a medium bowl whisk together egg, yogurt, milk, vanilla, coffee and oil until combined. Pour wet mixture into dry mixture and stir just until combined (stir approximately 18 times). Fill muffin tins almost to the top. Sprinkle with a few extra chips if desired. Bake at 400° (200° celsius) for 5 minutes, then lower heat to 350° (175° celsius) and continue to bake for approximately 15 minutes or until toothpick comes out dry and clean. Let cool completely. Enjoy! Oh, my chocolatey goodness! That zoomed-in photo looks really good! I will be making these next week and on my birthday. I really love everything that’s chocolate. Double chocolate sounds even better! Thank you for this awesome recipe! Hi Yang, thanks so much, hope you enjoy them and have a Happy Birthday. What an amazing recipe! Definitely going to try this on the weekend. Been looking for this recipe and I’m glad I’ve found it. Thank you! These are absolutely wonderful!! Thank you, Rosemary! 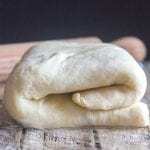 Has anyone used gluten-free all purpose flour on these? I’ve made this recipe as muffins, delicious, now i want to make them as mini loaves, will it make 6 mini loaves? same temp, you think and 20 minutes? Hi Teri, thanks so glad you enjoyed them. I can’t get mini loaves here so I really don’t know what size they are or how many they would make. Yes same temperature and 20 minutes sounds about right, although start checking at 15 minutes just to be sure. Hope that helps. Could I use instant coffe or espresso? As long as I prepare it in a cup and let it cool down? Hi Chris great so glad you enjoyed them. Happy New Year. Bonjour je ne trouve pas l’equivalence de la farine en poids pouvez vous le mentionner svp. Ces muffins sont alléchants et j’ai hate de les préparer avec ma fille ?merci. My daughter and I made these today. They are delicious! So moist and light. We will definitely be making them again soon! Hi Sherrie, thanks so glad you and your daughter enjoyed them. My daughter loves them too. Have a great week. Hi Kim, I think it would work no problem, I use mini because I can’t get regular chocolate chips here. Only mini! Hi Kim, hope you like them, let me know. I loooooove muffins & chocolates! Been looking around for good if not great muffin recipes. I would definitely try these. They look scrumptious & I believe they are. Will inform you once I have made them. 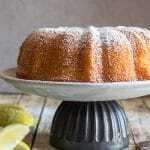 Thank you Rosemary for sharing this recipe. Hi Shafi, thanks I hope you enjoy them, let me know. I love this recipe! I just made it a second time and noticed that baking powder is not mentioned in the instructions, it’s only listed in the ingredients. I missed adding it last time because I was following along and just noticed it today. They still turned out great last time though! Hi Lindsey, sorry I just corrected the instructions, well I’m glad they turned out last time too. Have a wonderful Sunday. Hi Judy yes it is for one muffin. Your welcome. I put the dry ingredients together a few days ago. II have a cold, but i have been staring at the bowl of dry ingredients. I guess I craved them more than feeling crappy, so I baked them today. YUM! A definite 10. This replaces a triple chocolate recipe that calls for melted chocolate. This is much easier and just as good!!! Hi Judy, thanks, so glad you enjoyed them and I hope you are feeling better. Have a great weekend. My daughter and l were looking for a recipe for large chocolate muffins and we found your recipe. We loved them. Hi Nick, so glad you both enjoyed them. Happy New Year. I’m a vegetarian , I don’t eat eggs what can I substitute egg with?? Hi Vinita, here is something I found you may want to check out. 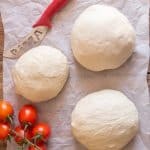 http://www.thekitchn.com/5-vegan-substitutes-for-eggs-in-baking-tips-from-the-kitchn-136591, hope it helps. HI, Since I don’t drink coffee, what can be substitute for the coffee ? Hi Janet, if you don’t want to use coffee you could always substitute with water. Hope that helps. Have a great week. Hi there! I can’t seem to find the flour quantity listed anywhere in your list of ingredients. Instructions mentioned flour though. How much flour does the recipe require! Thanks! Hi Ann, thanks so much for letting me know, I added the flour amount. Have a great week. Hi Jane, it really is a good muffin recipe, and yes it is coffee in liquid form. Hope you enjoy it. Have a great weekend. Hi Babes, you can substitute with regular yogurt or sour cream. Happy Easter. They look yummy. We can never get enough chocolate. Definitely will make for grandchildren. Thank you.